TaiG team has released the long-awaited iOS 8.3 jailbreak tool for iPhone, iPad and iPod touch. 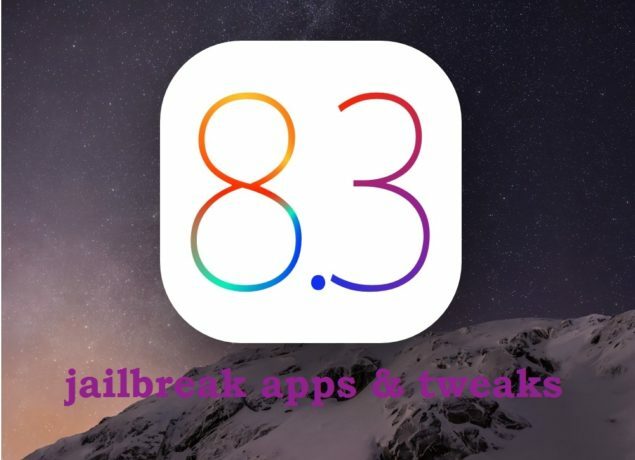 This jailbreak tool supports iOS 8.1.3, iOS 8.2 and iOS 8.3. As Cydia Substrate is not yet compatible with iOS 8.3 – iOS 8.1.3, many of the apps and tweaks won’t work. TaiG is expected to release the update soon and a leaked TaiG 2.1 is already available. Caution: don’t install that one as many readers have reported numerous errors. Please be careful while choosing your favorite tweaks as you might be forced to restore your iOS device. Jay Freeman popularly known in the hacking world as Saurik has clarified that the TaiG team itself needs to first update the jailbreak kernel patch to fix the issue. TaiG has promised on their Weibo account to release a new version of this tool that fixes the issue of compatibility with Cydia Substrate. While we expect to see this updated TaiG 2.0 jailbreak tool coming as early as later today, here is a list of iOS 8.3 jailbreak tools compiled for your ease. We will be keeping this list updated as more jailbreak tweaks are updated to iOS 8.3. Remember that even after Substrate issue is fixed, app and tweaks developers take their time to update the tweaks. You too can help us improve and update this list by letting us know if you find your favorite tweak working perfectly fine with iOS 8.3 – iOS 8.1.3 jailbreak. We are constantly updating this list as more tweaks are updated or TaiG fixes the Substrate issue. Don’t forget to help us add your favorites in this list too.